The reversible Sweet Jojo Designs Crib Rail Guard Covers are the best solution to combine safety and style. Now you can protect your baby from wood splinters and paint chemicals during the teething months, without giving up the look of your nursery. In addition, for those parents that choose not to use a bumper, you will now have a stylish safety solution for your room. 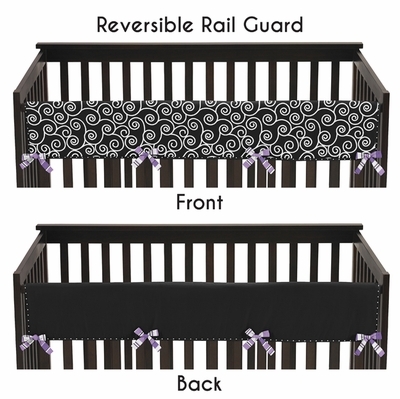 Also available in a 2 piece short side rail set, to protect all the rails of your crib. Single Front Rail Guard Measures 52 in. x 18 in.